Finnish melodic death metal band Omnium Gatherum has been around since 1996, and since then made quite a name for itself. It’s been only two years since their last longplayer, Grey Heavens, was released, but new music is always welcome – so let’s see what the guys have in store for us with The Burning Cold! The intro track The Burning is composed in the spirit of the Omnium Gatherum signature sound, before the album effectively starts with Gods Go First, the first single taken from the album. It has a somewhat more brutal start than usual for an OG track, but sure enough we turn back once again to their signature sound and Jukka Pelkonen’s growls. It has more guitar soli than the tracks on the previous album and overall has a less “stompy” feel to it than e.g. Skyline. Refining Fire offers you a déjà vu, as Frontiers from the previous album seems to be taken as a skeleton for this song. However, many melodic passages and own chords were built around it, so that it surely is no one-to-one copy. Rest in your Heart is mainly driven by keyboards and has a more ballad-feel to it. I especially love the end, which is just hauntingly beautiful. Over the Battlefield is then another in-your-face type of track, while The Fearless Entity kicks off with some rather spacy tunes, just to turn moments later into one of the most brutal tracks I have ever heard from the guys. Still, a certain melodic component is never lost throughout the song. Be the Sky and Driven by Conflict are more standard type of tracks, both marked by the OG signature sound. Another gem is the somewhat softer The Frontline, which has an almost angelic-sounding choir as its outro and overall glorious compositions. Those are also reflected in Planet Scale, so that a lot of emotions are conveyed to the listener – one of my favorite tracks on this album! The album then closes off with Cold. It is a softer song with hauntingly beautiful melodies, which carry you gently towards the end of the album. In conclusion: The Burning Cold is essentially a trademark Omnium Gatherum record, as it picks up their hallmark sound. This is not meant in a negative way, as the overall familiarity you immediately get with the different tracks has a very comforting effect. Still, there are many new nuances to discover and in my opinion also the emotions are conveyed even better through the songs. 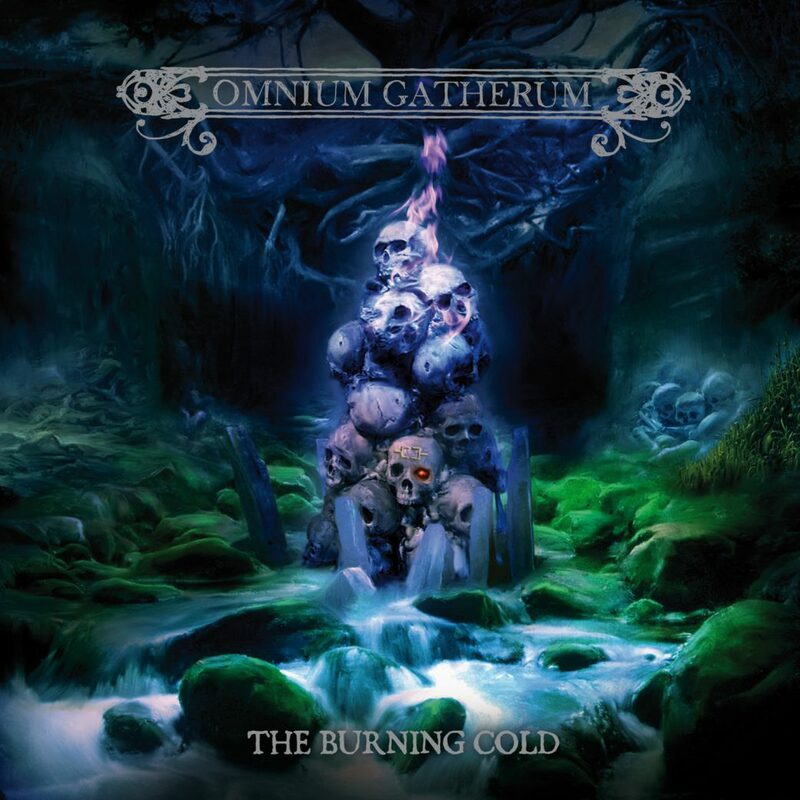 The Burning Cold thus marks a clear step forward in Omnium Gatherum’s musical evolution. I loved Grey Heavens, and I also love this one – highly recommended! 10/10. We also interviewed Omnium Gatherum’s guitarist Markus Vanhala. You can read the interview here.